Picture of the crashed rearset. Note how the peg ground down and is shorter now, but is otherwise still functional and not bent. 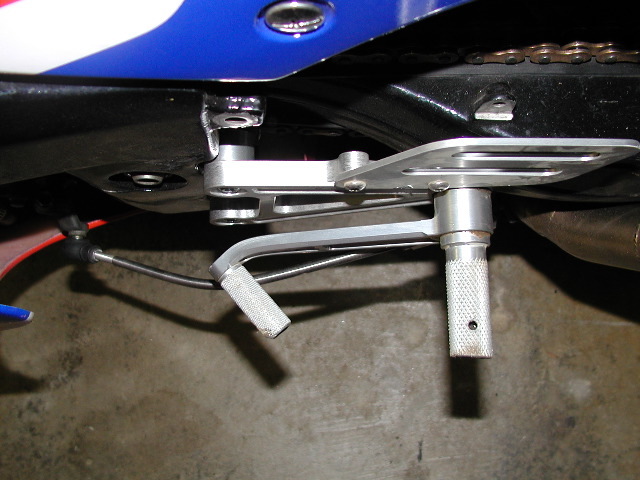 The shifter lever and rod can be bent back, making the entire rearset functional again. There was no bending of the rearset mount or chain guard.